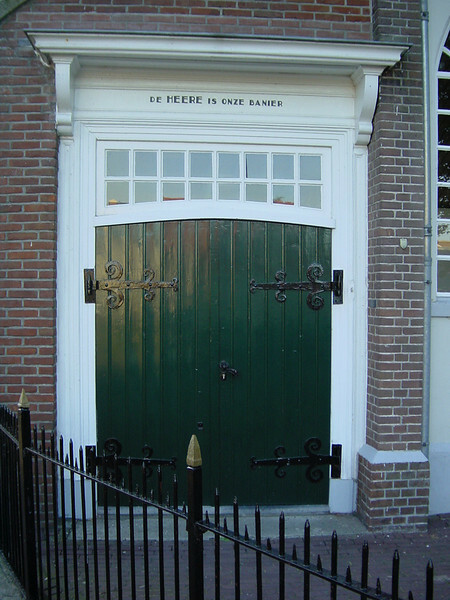 Over the churchdoor is written 'The Lord is Our Leader'. Urk used to be an isolated island in the 'Zuiderzee', the sea, now 'encapsulated' between dried seabeddings ('Polders'). It's now connected to the mainland. People from Urk, most fishermen, are really God fearing people. Quite interesting community. A Must see! !